In the 2010 elections, several parties promised to secure the Questionnaire of the European Commission for BiH and deliver the answers during the term. The Questionnaire came in December 2016. Almost a year later, the answers are still not delivered. 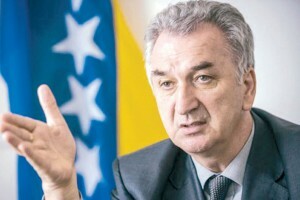 When, in 2011, the four parties in FBiH formed the post-election coalition known as “Platforma”, they announced that they will meet all the conditions for the EC Questionnaire to be delivered to BiH in the first year of their term, following that with the promise that they will reply to the Questionnaire by mid-2012. Alongside the answers to the Questionnaire we already received, I’m positive that we will, by the end of 2017 the latest have the candidacy status for the EU and also activate the MAP for NATO membership. The chairman of the Council of Ministers of BiH, Denis Zvizdić, announced that the institutions in charge will have all the answers ready by June 2017. In February 2017, he was still making plans based on that promise. I hope that we will see two important developments by the end of this year, the (EU) candidacy status and activation of MAP. In a way, this would put us on an irreversable track towards euro-atlantic integrations. Apparently, there were more good news regarding this necessary step for membership status. According to Zvizdić, all institutions were working with full force to meet the deadline that, as he pointed out, was set by BiH itself, not by the European Commission. We have formed the bodies necessary to implement the coordination mechanism, as well as support system for the EU (integration). We believe that this process will be finished in a few months. 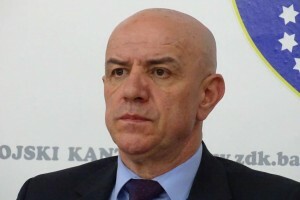 However, shortly after Ivanić’s announcement, another problem surfaced – apparently, the authorities were unable to provide translation of the answers so that they could be delivered in time. There is this idea that BiH could deliver its answers in one of EU’s official languages. I’m talking about Croatian, as it is the 24. official language of the EU. We’ll see how to handle this, but we clearly have a problem, because there is a large number of pages that has to be translated really fast and in good quality. The countries in the region got additional questions precisely because there were misunderstandings, or the translations weren’t good enough. We want to avoid that, so that we don’t get a lot of additional questions. This statement was rated by Istinomjer as false, since the insight into the additional questions delivered to the neighboring countries has proved that the “issues with translation” were practically non-existent. 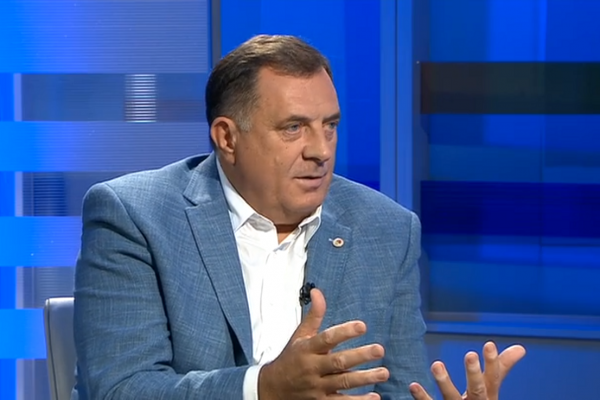 The real issue wasn’t the translation, but the fact that Republika Srpska was still refusing to accept the Coordination Mechanism, which was supposed to provide EU with “one voice” to communicate with Bosnia and Herzegovina’s authorities in the accession process. 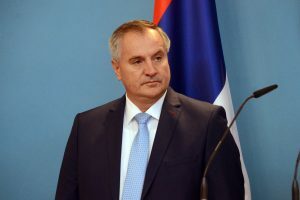 Moreover, the RS prime minister, Željka Cvijanović, openly stated at the time that they have no intention of delivering the answers to the central base until the Coordination Mechanism is “fixed”. If there are no more political obstructions such as those we faced in the last four months, we will wrap up all our obligations concerning the replies to the Questionnaire by early fall. September or October, but early in the fall in any case. Since the “early fall” arrived with no answers in sight, another announcement was made in the beginning of September. We’re trying to make up for the lost time. All the bodies in he coordination mechanism are formed, 1.400 members of working groups are actively engaged and we held 40 meetings in total. We expect to finish this Questionnaire by the end of this year and send it to Brussels. This is yet another promise that Istinomjer will track and rate its implementation when the year gets close to its end. At this point, after all the postponing, the prospects don’t look so well. Even the representatives of EU institutions who, for the past four years, went out of their way to praise BiH’s “progress on the EU path” when there was hardly any real progress to speak of, seem to be having a hard time doing that with the latest failed “benchmark”. Indeed, there probably is no way to find a positive twist on the fact that it’s taking the country’s leadership(s) almost a year to compile and translate the basic facts about the state they’re running. Today, there are hardly any reasons to remain optimistic regarding BiH’s European path. No serious progress has been made in the fight against the corruption that plagues the country. 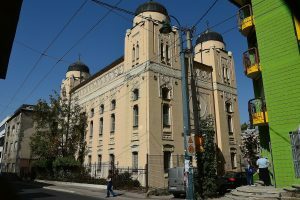 The rule of law remains problematic and the judicial system, as well as the public administration are in dire need for reforms. The implementation of the reforms contained in the Reform Agenda, agreed by all political forces in the country, and which represents the backbone of the new EU approach, is painfully slow. This is no secret for anybody, and certainly not for BiH’s citizens who have decided to “vote with their feet”. According to data from the World Bank, the number of people from BiH who live abroad is 44.5 per cent of the country’s overall population, which puts it in 16th place in the world for the emigration rate. When it comes to answering the European Commission Questionnaire, which was supposed to be done swiftly, in order to enable BiH to get candidate country status by the end of this year – a self-imposed deadline of the authorities – we are certainly not there yet. Deadlines keep being set, then pushed back, with the additional complication of a rather embarrassing translation problem. The latest talk is that the answers will be sent to the Commission by the end of the year, which will represent a considerable delay for the country’s ambitions of getting candidate country status and will certainly take its toll on the credibility of BiH as potential candidate.